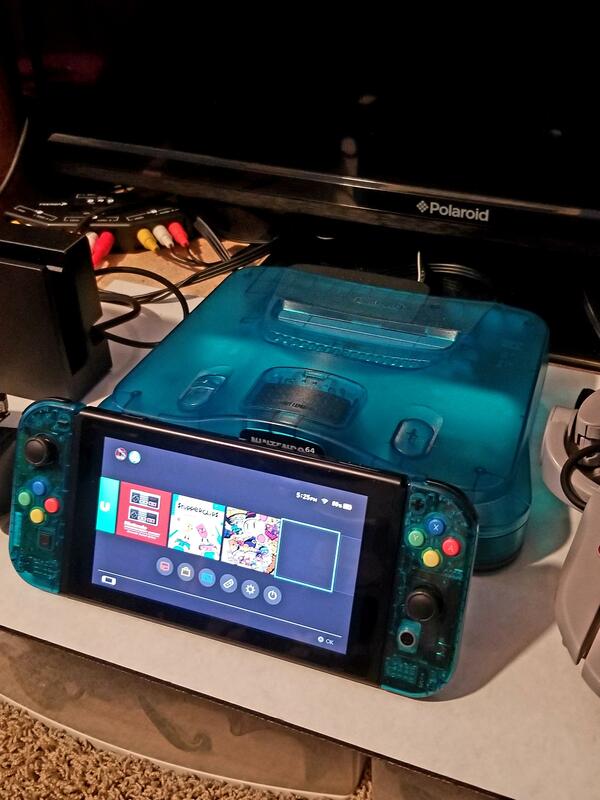 Finally made my switch to match my N64! Finally got my switch to match the better console, the N64! 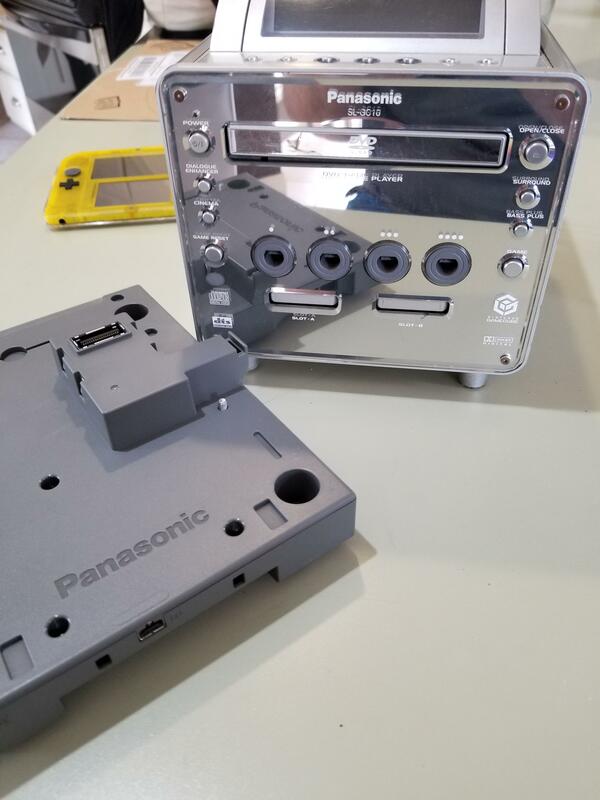 Finally completed my panasonic Q collecting..
Got the Panasonic Q Gameboy Player!!! :D now just need the Panasonic branded GC controller. Picked up a watermelon n64 today, came with matching controller too for $60. $47.92 pickup at salvation army today. Not the craziest but cool to find a NES there.